WEATHER: Light southerly wind is expected to prevail across the region today while low moisture levels will keep shower activities at a minimal across the area. Sunset Today: 6:08 pm. Sunrise Tomorrow: 6:38 am. 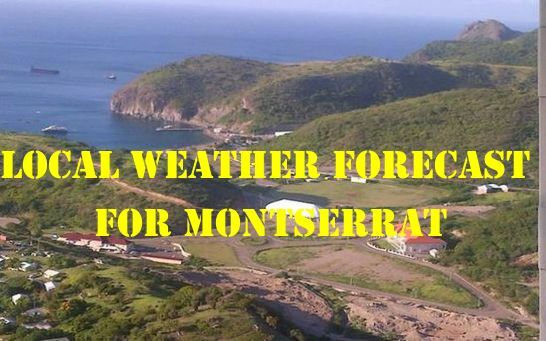 LOW: 21 °C/70 ° FPlease continue to monitor DMCA ’s facebook page -Montserrat Disaster Management Coordination Agency -DMCA and website – www.dmca.gov.msand ZJB Radio Montserrat for regular updates.